These new digital display boards represent a large investment that needs to be protected from accidental or malicious damage. Photodon screen protective film is the product you need to protect your digital display. In addition to protecting your digital display, our film can be purchased with an anti glare matte finish to reduce reflections. This will make your display more readable in certain lighting conditions. 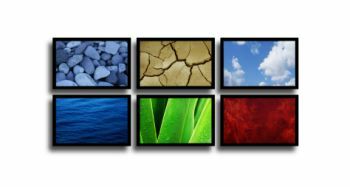 Digital Signage is alternatively known as dynamic signage, electronic signage or narrow casting. Places that typically use Digital Signage are retail chains, restaurants, fast food chains, banks, hospitals, travel hubs, airports and corporate headquarters. This is a great display method to captivate your targeted and not so targeted audience with informative and/or entertaining content. Screen protective film will help to keep your advertising attraction attractive! Once damage has happened to your screen, it can be very costly to repair. 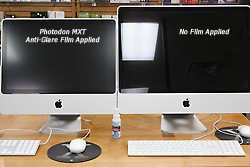 Applying a Photodon Screen Protector is an inexpensive insurance policy for your screen.